Brettafett and Thomas Koehle like this. jeremiah, Greg Gale and nkang like this. They're out there to be had, you just need to know where to find them. Personally I do not go on ebay to buy originals anymore (although I would if it were something special). Craigslist, military shows and personal contacts are my most used venues for finding originals. Smithy, Brettafett, Flightengineer and 2 others like this. Smithy, Art, Brettafett and 2 others like this. 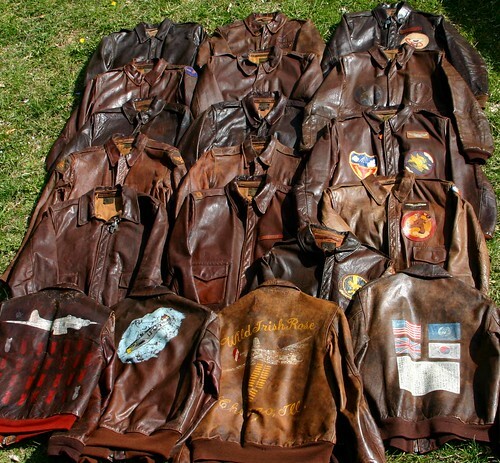 The Flight Jacket collecting virus attacked me about four years ago, although my interest in leather jackets goes a little beyond that, back to the Indy era, with a few motorcycle jackets thrown into the mix. I have one original M-422A, but my main interest is in repros, so here goes. * Rough Wear 1401P in russet horse by Diamond Dave. Seriously patched 23rd FG, CBI, blood chit, 14th AF, etc. * JA Dubow 20960 in seal horse by Good Wear. Super thick horsehide. * Aero 1711P in russet horse by Aero Scotland. * Aero 15142P in dark seal horse by Aero Scotland. Closest color to black without being black. * Rough Wear 18091 in seal goat by Good Wear. This goatskin contract came originally only in russet but John made one jacket in seal. * Monarch Mfg. 23378 in russet horse by Good Wear. Beautiful shade of russet. * Headwind A-1 in oxblood capeskin by Jay's crew. The original oxblood color has since been changed to light russet. Extremely supple easy to wear. * Buzz Rickson William Gibson Edition G-1 in black shrunken buffalo hide purchased from HPA. Very heavy but classy. Charles said; 'wear it with a cashmere sweater'. * Buzz Rickson G-1 in seal goat., Got to love G-1s with the freedom of movement. Great jackets. * Original Edmond Church M-422A in light seal goat. Seen better days but still wearable. Cuffs and waistband replaced. * Roadstar Motorcycle jacket in russet horse by Eastman Leather. Has the cold weather wool lining. * Custom made Indy Jacket in seal goat by Gibson & Barnes. Where the addiction started. * USN 37J1 by Bronson. * USN hook deck jacket by Pike Bros.
Smithy, Art, Brettafett and 3 others like this. Many thanks sir. Without a doubt you've got it bad Burt. 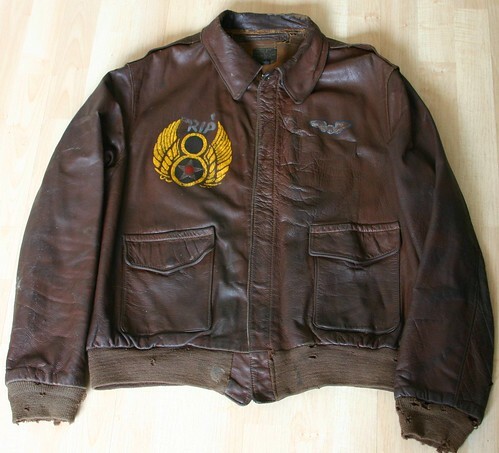 You belong in the Flight Jacket Collectors Hall of Fame. Charter member. All of my jackets are originals. 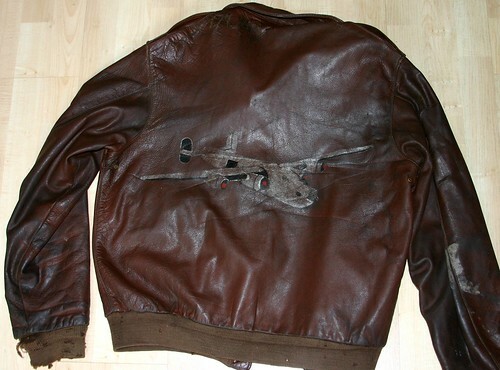 ELC Roughwear A-2 (23rd ftr grp) Looks like a beutiful jacket, have to save some money to buy one som day. Have a BK A-2 on the way, and am waiting for the 'new' AVI Bronco/ Perry A-2s also. Smithy, Brettafett and Thomas Koehle like this. Smithy, Art, Brettafett and 1 other person like this. Thomas Koehle, Marv, seres and 4 others like this. Putting the collection into the porta-robes before our new year move. Fifth house move in seven years. Thank you "service needs". One of my peers is having a hissy after moving for the first time in nine years? Have been offloading a few, then realised as many are coming in...Mostly BR Tankers?? Given the current exchange rate and the shipping surcharge I am hanging onto the inventory for a while..
Off to the tropics again so they will have a 3 or 6 year hiatus..